Recently sometimes my Nexus has been charging extremely slowler than usual. Its so bad now that while in use and plugged into charge, its losing battery. Was 19% when I plugged it in now its 16%. I tried rebooting to see if it was a bug showing the wrong percentage on the bar but that didn't help. What should I do? I bought the device mid December last year, direct from Google. Is this something I should seek a replacement over? I've run into a similar issue recently and discovered that the USB cable had gone bad. You'll just need to try eliminating components one by one. Good luck! how are you charging it? wall charger? computer usb port? car charger? are you using the phone or is it sitting in stand by mode on a desk? what is the power out put of the charger your using? have you powered off the phone, waited a few seconds then powered it back on? this will sometimes help if an app has messed up is causing the CPU to run when it shouldnt be. With the charger connected, tap Settings -> Battery. Does it say "Charging (AC)" or "Charging (USB)"? If it says USB, then it is charging at only 500mA which is barely enough for a very slow charge if the device is not in use and will indeed continue to discharge if you are doing anything even remotely intense. If using the wall charger and proper cable, it should say Charging (AC). If it doesn't, check the wall charger - its output current should be a minimum of 1.0 amps (or 1,000mA). If that looks good, try a different cable. If charging from a PC, check to see if your PC has any USB 3.0 ports - they should be blue in color on the inside. USB 3.0 ports put out 900 mA current instead of the 500 mA of earlier USB ports. Newer PCs typically have a mix of 2.0 and 3.0 ports; on a notebook they can be anywhere, but on a desktop PC the 3.0 ports are usually on the backplane where they are built directly onto the motherboard as opposed to the front accessible ports. 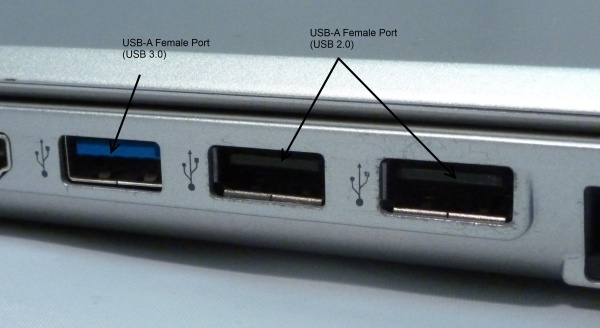 Note: if your laptop has a yellow USB port, that is not the same thing at all. The yellow port indicates that it can provide power even when the laptop is closed or otherwise turned off. Weird. Mine works great while on the charger. Lost Phone Service (talk & text) after installing ViperSV on HTC One SV.